Make sure your discipline methods meet the Five Criteria for Positive Discipline. 1) Is kind and firm at the same time. 2) Creates a sense of belonging and significance. 4) Teaches valuable social and life skills. 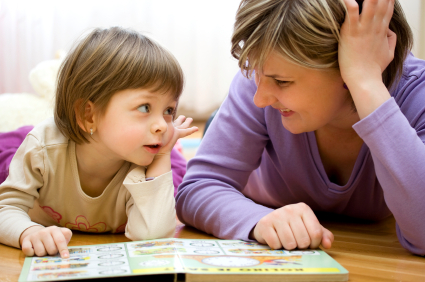 5) Teaches children to use their power constructively and to discover they are capable. Punishment does not meet any of these criteria. I would like to add two more items to that list that I have found to be absolutely essential. #1 - Make sure the message of love gets through! This is really the engine that drives Positive Discipline. You can become an expert at all 52 parenting tools and still fail miserably if you don't make sure the message of love gets through. I know this to be true because many times this past year I have forgotten this concept and tried to implement the tools without love. It never works and creates resistance from my children. #2 - Have regular family meetings. If "making sure the message of love gets through" is the engine, then "family meetings" are the fuel. 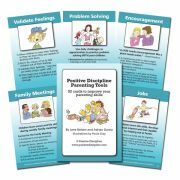 Sitting down each week to plan ahead and allow for problem-solving has been the most effective part of implementing a new parenting strategy. My children look forward to the weekly family meetings and everything tends to fall apart when we miss our weekly family meeting. And remember to start you family meetings with compliments to set a positive tone. I'm reading the book Positive Discipline and am excited to get to the part about family meetings. Is there any other source for info about how to go about that for the first time? Thanks. OK, so bellowing at my child from the kitchen to go to her room for throwing an apple isn't good? Here's hoping the rest of the day improves! I'm so happy (and totally envious!) to read that your children look forward to your family meetings. We've been trying to do them FOR YEARS and I'm always so disappointed in how they go. We always start out with the best of intentions (listen more, talk less, compliments, being respectful etc.) and someone inevitably storms off or people just want them over with! It ends up being more of a gripe session with the parents trying to get people to "fix" what's not going well. Any advice? What do you think has made yours work out so well? Great advice Brad. Thank you! I always do my best to make sure that my son understands that I discipline him because I love him so much and I only want him to understand how to be a good person. Planning the special time - I'll have to remember to include that. I think everyone comes into the meetings with the preconceived idea that they're not going to work and then maybe it just ends up being self-fulfilling. I'll keep this in mind for this Sunday. P.S. You make me laugh about the laundry hamper!